A Delaware man under arrest for drug crimes will face additional, more serious charges after he rammed his car into the two police officers that were apprehending him. WTOP reported that the incident took place on September 30, 2017 as a deputy with the Worcester County Sheriff’s Office was checking on a suspicious vehicle in a shopping center parking lot. Additional officers joined the search of the car, where they witnessed two men stuffing marijuana into bags. When the man in the driver’s seat noticed police, he started the vehicle and drove it into them. The accused faces multiple charges, including Attempted Murder, for his actions. This offense is unique under Delaware criminal law because an attempt is an incomplete crime. Regardless, there will be severe consequences if the man is convicted. The two essential components of a crime are intent and an act, but the details of these elements are complicated in the context of attempted crimes. 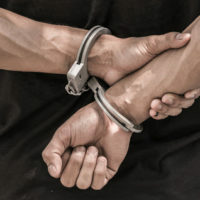 Authorities may charge a person with an attempted crime when he or she intends to commit an offense and takes certain steps to carry it out; however, the individual stops short of actually completing the crime for some reason. To satisfy the intent element in an attempted offense, a prosecutor must show the specific intent to commit the crime. For instance, a prosecutor in an attempted murder case must show that you possessed a specific intent to kill, not merely make threats or injure someone. In addition to intent to commit the attempted crime, there must be one or more direct steps toward completing the crime. It is immaterial whether you were prevented from fully committing the crime by other factors or decided to stop at some point before completion. However, Delaware law requires that there be some substantial step or series of actions that would lead to committing the crime; making certain preparations is not enough. There are defenses in an attempted crime that are not always available if a person actually completes the offense. Impossibility may act as a defense if you knew of circumstances that would prevent commission of the crime. For example, you attempted murder but knew the gun was not loaded. You may defend on the grounds of abandonment if you stopped all actions that would lead to completing the crime. There is a fine line between attempt and commission of a crime under Delaware law, but a prosecutor must still prove the essential elements of intent and action to get a conviction. Due to the incomplete nature of attempted crimes, there are many opportunities to beat the charges. The best strategy for your defense is to hire an experienced attorney who will identify and attack weaknesses in the case against you. If you were arrested on a charge involving an attempted crime, please contact the office of Michael W. Modica in Wilmington, DE. We can set up a free consultation to discuss the details of your case.